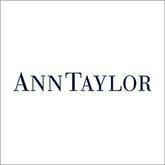 Ann Taylor is a retail chain store of specialty apparel for women. They mainly sell fashionable products and classic styled dresses, suits, separates, shoes and related accessories. They have four major divisions - LOFT, Ann Taylor, LOFT Outlet and Ann Taylor Factory. Richard Liebeskind was the founder of the company. The first store of Ann Taylor was inaugurated in 1954, at New Haven in Connecticut. In 1991, they complete a public offering and aggregated a net proceed of nearly $166.5 million. In 2011, they were renamed as Ann Inc. In 2012, there were 981 stores of the brand. Online centers of LOFT.com and AnnTaylor.com were also inaugurated. There are currently 0 consumer reviews about Anntaylor Stores Corporation available. Share your review. Please take a note that you are about to post a public review about Anntaylor Stores Corporation corporate office on CorporateOffice.com. This review will be public, so please do not post any of your personal information on this website. If you would like to contact the corporate offices of Anntaylor Stores Corporation, please use their contact information such as their phone number, website, and address listed above to contact them. However, sometimes staff from Anntaylor Stores Corporation headquarters do read the reviews on this website.